You are currently browsing the tag archive for the ‘Vladimir Lenin’ tag. This post was originally a guest post on The Zombie Feed, written to promote the anthology The Zombie Feed: Volume 1 in which my zombie story ‘Cold Comfort’ appears. In the dead of night, when all that’s out the window are moon-weevils and shadow-bats, you can sometimes hear bodies being disinterred. There’s the scrape of metal against coffin-wood, the sigh of entombed air escaping from forgotten sarcophagi, and the tapping of fingers against keyboards. All across the world, writers are sitting and wrenching new ideas, new stories out of their brains. Often they find themselves in the process of plundering the graves of long-dead authors, trying on their shrouds, playing new games with their characters, their themes, their stories. Part of coming up with new things is robbing the tombs of the dead, and cackling whilst you do so. In my case, for the story in The Zombie Feed, I plundered Mikhail Bulgakov. The Master And Margarita. 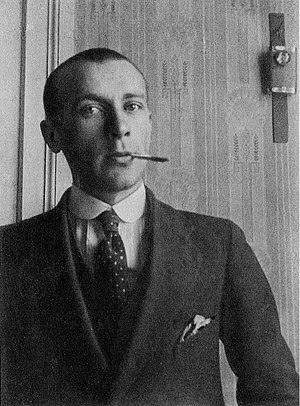 Bulgakov wrote his great magic-realist novel about the Devil’s visit to Moscow at the height of Stalin’s Great Terror. A respected member of the Moscow literary establishment (and one who received personal telephone calls from Stalin) Bulgakov wrote a number of drafts in secret; if its existence has become known, it would have meant internal exile if not death. The book is both a fantastic romp, and a satirical piece, with Satan running rings around the petty bureaucrats and functionaries of Soviet Moscow. At the time I’d also just read Solzhenitsyn’s The Gulag Archipelago and Orlando Figes’ brilliant assessment of how private life was eroded in Soviet Russia: The Whisperers. Totalitarianism was preying on my mind, and the ways it intentionally dehumanises people. In order for a government to dominate its citizenry so completely it must ensure that they cannot trust each other. A culture of informing, corrupt bureaucracy, and a people in permanent need of basics like a warm coat, or an extra room, all of these served to make the real tragedy of Stalin’s Russia a population that could not trust itself. Not friendship, not kinship, no tie was secure from the intrusion of the state. No one might not be turned against you. You couldn’t ever just relax and blow smoke. Not entirely comfortably. But it almost seemed too perfect. What kind of story is more about loneliness, isolation, the inability to trust those around you, than a zombie story? To preorder your copy of The Zombie Feed: Volume 1, click here.